Bernhard "Ben" Doerksen: pastor and teacher; born 8 February 1933 to Bernhard B. Doerksen (15 November 1891, Fischau, Molotschna Mennonite Settlement, South Russia - 1 May 1969, Coaldale, Alberta, Canada) and Elizabeth (Frantz) Doerksen (12 August 1904, Kodagai, Crimea, South Russia - 7 March 1994, Coaldale, Alberta) in Coaldale, Alberta. He was the fifth of 12 children. Bernhard married Agnes Kopp on 15 September 1956. Agnes was the daughter of Jacob Kopp (10 June 1911, Alexanderwohl, Molotschna, South Russia - 27 April 1989, Clearbrook, British Columbia, Canada) and Anne (Brucks) Kopp (15 July 1913, Kubanka, Orenburg Mennonite Settlement, Russia - 10 June 1989, Clearbrook, British Columbia). Bernhard and Agnes had three children: Richard, Robert, and Elizabeth. Bernhard died on 20 October 2011 in Calgary, Alberta. Ben was baptized in the Coaldale Mennonite Brethren (MB) Church in 1951. He attended Coaldale Bible School 1951-1953 (Teacher's diploma); Prairie Bible Institute 1953-1955; Mennonite Brethren Bible College 1955-1957 (Th. B. ); Tabor College 1959-1960 (BA English Literature); Kansas State Teacher's College 1960-1961 (MA English); Mennonite Brethren Bible College 1967-1968; and Fuller School of World Mission (Doctor of Missiology 1986). Doerksen served as pastor in Ashern, Manitoba 1957-59 and taught at the Grace Bible Institute, Omaha, Nebraska 1961-1964. From 1964-1967 he and his wife served in the Mennonite Central Committee Teachers Abroad Program in Gindiri, Nigeria. After a year of study upon returning to Canada he began teaching at Bethany Bible Institute, Hepburn, Saskatchewan, where he remained until 1994. During this time he served as pastor of the Brotherfield Mennonite Brethren Church, Waldheim, Saskatchewan from 1970-1975. He also developed a construction company, 3-D Construction, that kept him busy during the summers. Doerksen also participated in provincial and national church bodies. 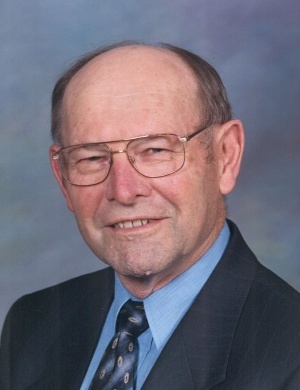 In the 1980s he was a member of the Saskatchewan MB Board of Missions, served as chair of the Saskatchewan MB Board of Church Ministries, was the Saskatchewan representative on the Canadian MB Board of Evangelism and was a member of the Mennonite Brethren Board of Missions and Services 1986-1994. Bernhard and Agnes retired to Calgary, Alberta in 1994. Doerksen, Bernhard. "Mennonite Brethren Missions: Historical Development, Philosophy and Policies." D. Miss. dissertation, Fuller School of World Mission, 1986. Berg, Wesley. "Doerksen, Bernhard (1933-2011)." Global Anabaptist Mennonite Encyclopedia Online. May 2012. Web. 21 Apr 2019. http://gameo.org/index.php?title=Doerksen,_Bernhard_(1933-2011)&oldid=112834. Berg, Wesley. (May 2012). Doerksen, Bernhard (1933-2011). Global Anabaptist Mennonite Encyclopedia Online. Retrieved 21 April 2019, from http://gameo.org/index.php?title=Doerksen,_Bernhard_(1933-2011)&oldid=112834. This page was last modified on 12 February 2014, at 05:26.